We offer new equipment sales on copiers, printers, computers, plasmas, projectors, servers, security cameras, and more. Rentacomputer is a reseller for thousands of brands of products so we can get you the new equipment you need at the right price, and with the service you expect. Rentacomputer can save you money on your next technology purchase by buying our "just back from rental" used equipment. 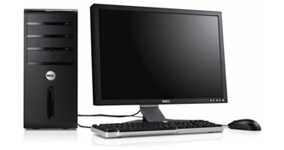 We have Laptops, Desktops, Servers, Cameras and more available for a fraction of the cost of new.